And the Cannes line-up is…? 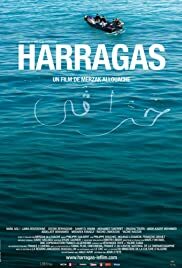 A somewhat cynical but realistic look at the alienation of men in Algerian society. Thanks to the "civilian agreement" law, an Islamist is pardoned and reinstalled in society. He soon understands law doesn't erase the crimes he committed. L'inspecteur Tahar (Hadj Abderrahmane) et son adjoint que l'on appelle l'Apprenti (Yahia Ben Mabrouk), s'efforcent résoudre les enquêtes qui leurs sont confiés.